While in Gaza it is plain for all to see who are the perpetrators behind the slaughter, the case of the almost 300 victims of the MH 17 Malaysian airlines crash is giving us more questions than answers. As I write this my thoughts are with the innocent victims in Gaza as well as those who died in the event dubbed the ‘MH-17 incident’ as well as their families. Both issues dominate the news everywhere. While in Gaza it is plain for all to see who perpetrates the slaughter, the case of the almost 300 victims of the MH 17 incident is giving us more questions than answers. 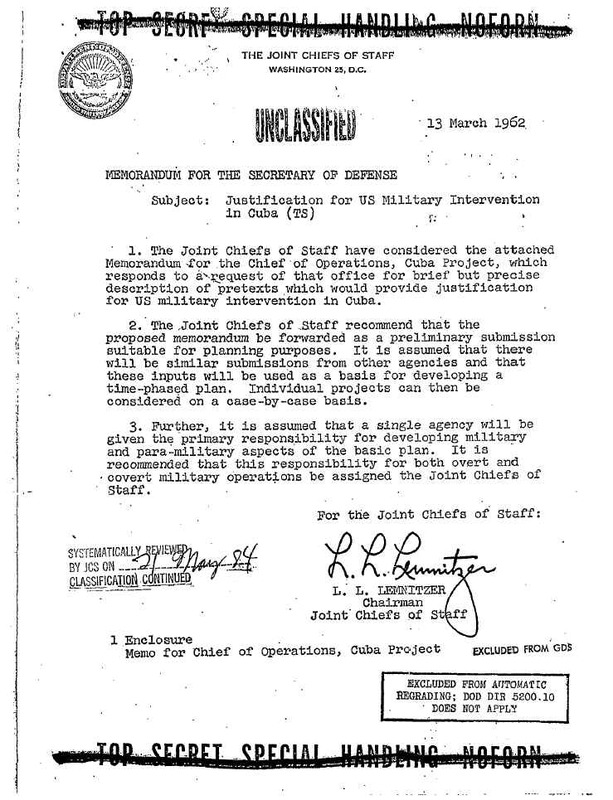 As we look for answers we must not forget an important operation which was planned by the US Joint Chief of Staff in 1962, a plot to manufacture a casus belli (reason to go to war) with Cuba. It was called ‘Operation Northwoods’. It sprang to my mind as the propaganda war after the the airplane tragedy in eastern Ukraine was unleashed. 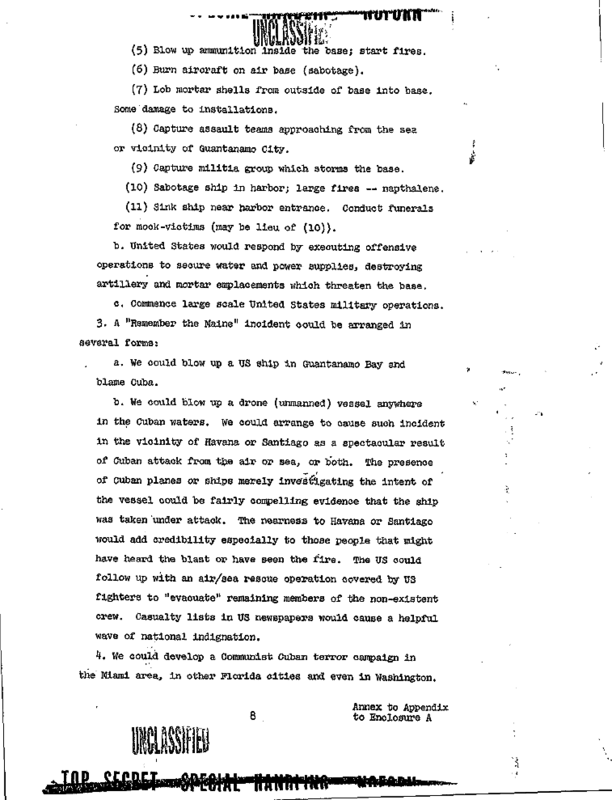 While at the time the Northwoods document was produced by the US military its implementation was rejected by then US President John F. Kennedy, circumstances have changed and I cannot help but ask myself if the MH-17 incident is a re-run of ‘Operation Northwoods’ with today’s technology on a bigger scale. This time not trying to frame Cuba but Russia. It is possible to create an incident which will make it appear that Communist Cuban MIGs (Eastern Ukraine ‘Separatists’) have destroyed a USAF aircraft (Malaysian passenger aircraft) over international waters (their territory) in an unprovoked attack. Can you see where I am coming from? Surely this line of thinking must be included as this incident can easily be used as just another fabricated pretext to gain public support for hostile actions. Can it be possible that the Kiev regime, or factions within it, have used this blueprint and put it into action? Sanctions are already being implemented and hostile rethoric is abound. We can only hope that this time the public will get the truth. But given that the flight and voice recorders, handed to the Malaysian team of investigators on the crash scene, are now in the hands of British authorities, that Kiev confiscated the voice recordings of the Ukrainian air traffic controllers and is not making them available and the US Military do not release their radar and satellite raw data, chances are slim that we get the undoctored versions. What we are left with is the insight that we cannot trust anything coming out of mainstream media and must rely on the efforts of the alternative media to get to the bottom of this tragedy.